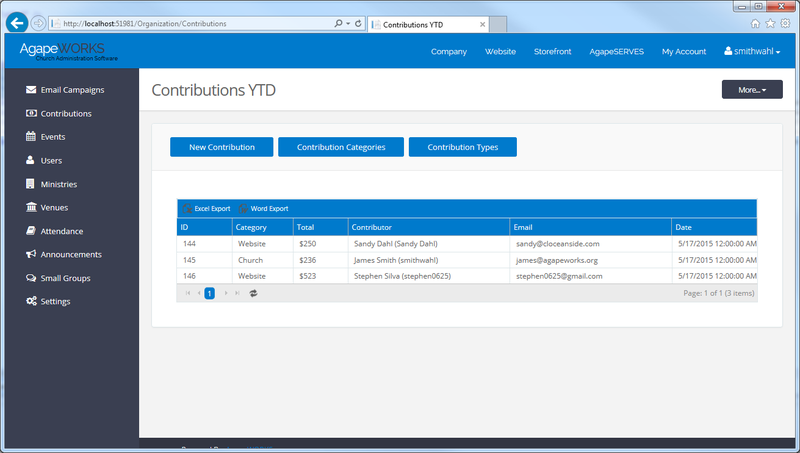 Use this Contributions page to track all of your church’s contributions on as regular a basis. Weekly contribution can be entered and saved here, then viewed all at once to easily track contribution amounts, types (check, cash, etc. ), and what they were given toward (ministries, projects, missions, etc. ).